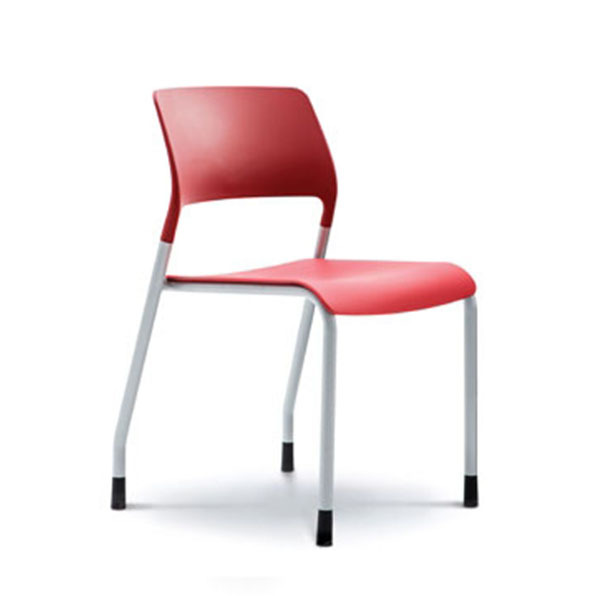 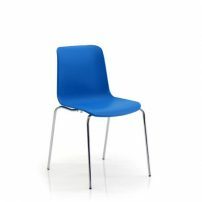 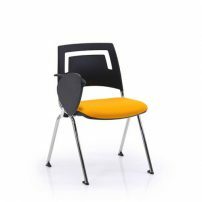 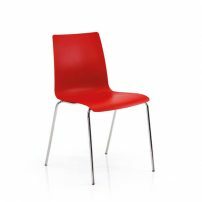 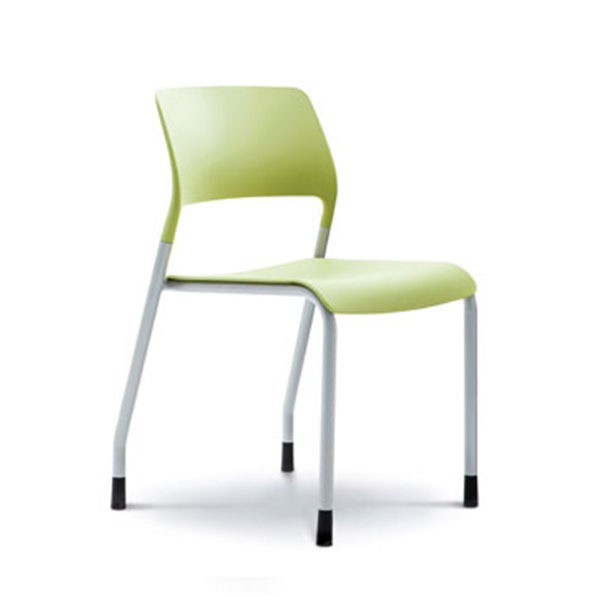 A multipurpose stacking four legged chair with a simplicity of design and a simple sleek profile. 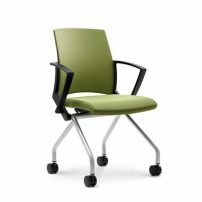 The pearlescent silver frame finish is matched with soft pastel plastic seat and back colours to create a fresh and modern style to compliment your workspace. 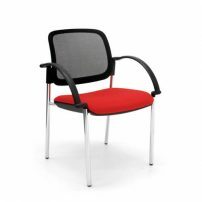 The option of an upholstered seat and castors increases the flexibility of this versatile and comfortable range.